And then there is someone who inspires you deeply. 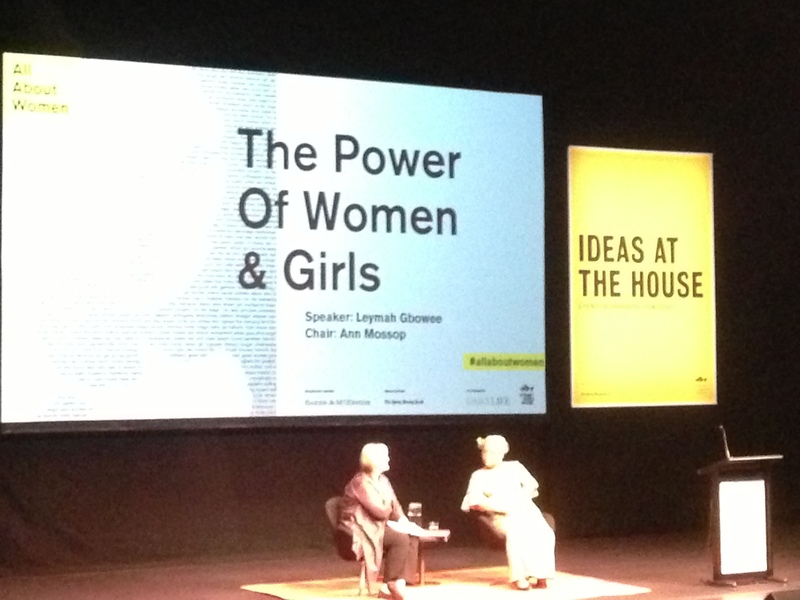 Yesterday I attended “All About Women” at the Opera House – no huge shock that it was 95% women… happily loads of young women wanting to listen to the many fascinating conversations that were on offer… none better than the extraordinary Leymah Gbowee, the Nobel prize winner from Liberia… Magnificent in many ways this woman set up the “Women of Liberia Mass Action for Peace” by working at grassroots level with women and children with calls to action like: “We are tired! We are tired of our children being killed! We are tired of being raped! Women, wake up – you have a voice in the peace process!” Their work eventually ending the 14-year bloody war that had strangled Liberia and electing the first female President in Africa, Ellen Johnson Sirleaf… Leymah Gbowee is mesmerising – authentic, funny, clever and passionate… I loved her response about fearless leaders – no leader is fearless she said, they just have the courage to dismiss the fear and continue with what they are passionate about… a lesson for all of us.